Horses are beautiful and elegant animals and can make the perfect, loving companions. If you have a horse or are hoping to get one in the future, there are a few basics that you need to know. Caring for a horse can be a great task, so make sure that you are fully committed when deciding to look after a horse. 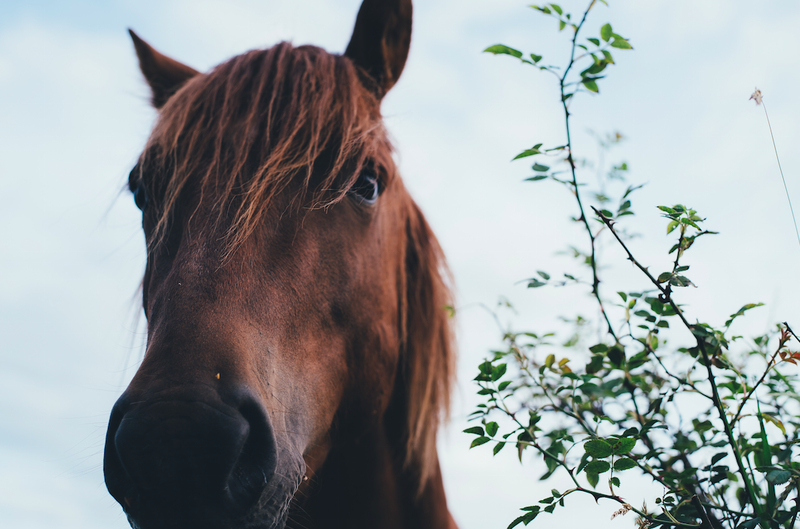 Scroll down for some basic do's and don'ts when it comes to looking after a horse. Give your horse a healthy diet. By itself, hay may not make up enough calories of your horse's guided daily intake. Feed your horse a nutritious horse feed such as Spillers Feed to keep your horse happy and healthy. There are plenty of various horse feed options available and different feeds are suited to different horses. Make sure that your horse also has access to clean water at all times. Create a routine. Horses, like many humans, thrive on routine -it actually helps to reduce stress. Feed your horse at the same times every day and clean out your horse's stable regularly. Also make sure that your horse has regular exercise times. Provide your horse with shelter. Your horse needs protection from wind, snow, rain, thunderstorms and other natural weather conditions, so make sure your horse has some shelter. Groom regularly. For a more healthy and attractive coat make sure you groom your horse regularly. Groom your horse just before you ride him to avoid chafing and sores. Grooming is a great way to bond with your horse (it's almost like a game of trust) and also a quick and easy way to check for any injuries daily. Approach your horse correctly. Always try to approach your horse from an angle, so that he can see you, rather than walking straight towards him from behind or the front. This will ensure that you do not alarm him or scare him. It can also help to speak when you approaching so that the horse knows that you are near. Overfeed. It's nice to treat your horse (carrots, apples and mints make great treats) but do not overfeed your horse with foods high in sugar and calories as this can lead to obesity. A horse's digestive system is not build for sugary snacks and too many can cause disruption within the digestive system. Forget vaccinations. Horses need annual vaccinations to fight against infections, diseases and sicknesses. Don't forget to get your horse's vaccinations sorted! Medicate your horse unless instructed to by a vet. Incorrectly distributing medicine can be very dangerous for your horse's health, so never medicate your horse by yourself unless instructed to by a veterinarian. Wear sandals/flip flops/bare feet around your horse. Always wear boots around your horse - if a horse steps on your toes it can be VERY painful and very damaging. Avoid this by always wearing the correct footwear. Kneel around your horse when grooming. When working on and grooming your horse, be careful and do not kneel or sit around your horse's feet. They can easily become spooked or alarmed and you need to be in a position to move quickly if your horse tries to move or kick.